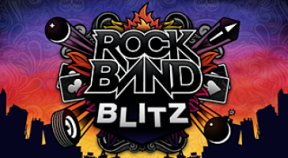 Calibrated your system for the optimal Rock Band Blitz experience. Increased the Level Cap by 3X at 3 Checkpoints in a single song. Stayed in Blitz Mode for at least 30 seconds in a single song. Finished a song with all tracks at the Level Cap. Replayed a song and beat your previous high score. Challenged someone to a Score War. Played 100% of the notes in a Guitar solo. Earned Gold stars on a song. Cleared 10 notes with a single Blast Note. Played a chain of 10 Flame Notes. Earned at least 10,000 points with a single use of Shockwave. Kept the Pinball in play for at least 20 seconds. Cleared 20 notes with a single Bottle Rocket. Caught 5 Runaway Notes in a single song. Earned at least 10,000 points with a single use of Jackpot. Cleared 25 notes with Road Rage in a single song. Played 12 of the songs included with Rock Band Blitz. Played every song included with Rock Band Blitz. Earned 5 stars on every song included with Rock Band Blitz. Earned Gold stars on every song included with Rock Band Blitz. Unlocked every Power-up in Rock Band Blitz. Got your Blitz Cred up to at least 1,000. Got your Blitz Cred up to at least 10,000. Played at least 50 unique songs. Played at least 150 unique songs. Played at least 300 unique songs. Harmonix thanks you! Played at least 10 unique songs by the same artist. Played at least 50 unique songs in the same genre. Played at least 50 unique songs from the same decade. Played a song from every decade since the '50s.